SARATOGA SPRINGS, N.Y. (March 29, 2019) — The Saratoga Automobile Museum (“SAM”) will present a new exhibit entitled Wheels of Change: Cars and Culture of the Sixtiesbeginning on Saturday, March 30, 2019. The exhibit will run through Sunday, Oct. 27 and showcases cars that were part of the decade when dynamic changes in design and safety innovations occurred. After the post-war decade of the Fifties, cars became smaller, sleeker, agile, and more fun. This spurred car makers to reimagine what automobiles were and what they could be. “The Saratoga Automobile Museum is honored to showcase these iconic cars to the region. We are sure that many of these cars will reignite memories for those who visit the museum to see the exhibit and inspire an automotive passion for others,” said Carly Connors, executive director. 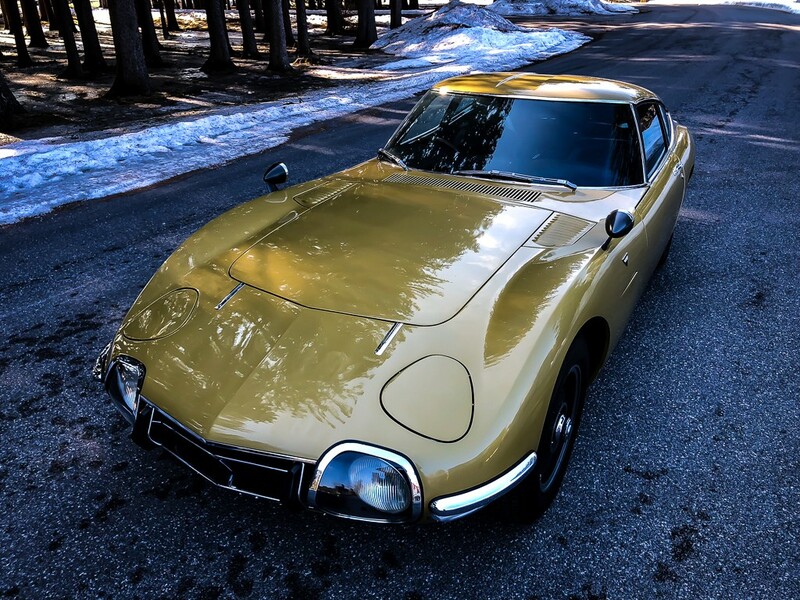 A main draw for Museum visitors will be a gold 1967 Toyota 2000GT, on loan courtesy of Toyota Motor North America. This car has a unique history, as it was once owned by Twiggy, a fashion icon of the Sixties. Twiggy was on hand when the car was unveiled at the Tokyo Auto Show in 1967. Toyota re-acquired the car in the mid-Eighties, and it underwent a complete restoration to bring the car back to its original condition. In addition to the Wheels of Change cars, renowned artist, Chris Osborne will display her award-winning automotive paintings with visitors in the Museum’s Golub Gallery. The gallery exhibit will open on Tuesday, April 2, and feature a wide variety of celebrities of the era depicted with iconic vehicles and will run until Sunday, Oct. 27. Osborne has exhibited her works widely in galleries, art associations and art festivals throughout the Northeast and New York City. Her automotive related work has been highlighted at a number of major, national car collector events, including the Kruse Auction in Auburn, Indiana, the Louisville Concours d’Elegance, the Hampton Concours d’Elegance, the Glenmoor Gathering of Significant Automobiles, the Las Vegas Concours d’Elegance, the Fairfield County Concours d’Elegance, and the Classic Car Club of America’s annual gathering in Michigan. There will be a special exhibit grand-opening party on Friday, April 5 from 6 p.m. to 8 p.m. at the Saratoga Automobile Museum. A cash bar of beer, wine, and complementary light fare will be served. Museum members admission is free and non-member admission is $10. Tickets are available at saratogaautomuseum.org. For more information about the Saratoga Automobile Museum, visit saratogaautomuseum.org. About the Saratoga Automobile Museum: The Saratoga Automobile Museum was organized in 1999, and opened to the public in 2002. The Museum’s mission is to preserve, interpret and exhibit automobiles and automotive artifacts. We celebrate the automobile and educate the general public, students and enthusiasts regarding the role of the automobile in New York State and in the wider world. In addition to technical and design aspects, our educational focus is on the past, present and future social and economic impact of the automobile. Digital pressroom for Relentless Awareness.